An online search of “California drought” literally turns up millions of articles, and some of the headlines appear in conflict. One series says California is “drought-free” and others warn we’re still operating at a water deficit. What’s the real story? Should California celebrate or is not yet time to stop doing our rain dance? Both sets of headlines are true. We’ve definitely had a wet winter. As of April 2, the Sierra snowpack was 161% of normal and we’ve also had a lot of rain, with 18 trillion gallons falling in February alone. However, we also have depleted groundwater reserves due to the length and severity of our most recent drought. And most experts predict that California is likely to stay on this “boom” or “bust” water cycle for the foreseeable future. The good news is there are things that can, and are, being done to equip the state to deal with our water and climate reality so Californians aren’t reduced to simply holding our collective breath each winter, waiting to see what Mother Nature decides to serve us. Water districts, government agencies and farmers have been researching solutions and preparing projects for years. Large water storage projects are critical to our future. They allow us to save water in the wet years on a sizeable scale. Multiple projects are ready to go, with all the necessary research and studies completed and funding in the works. However, these projects obviously take time to build and we also need additional strategies to help us now. Local water districts are expanding local and regional solutions to improve water management. This is where local water districts have been stepping up to provide smaller solutions in the near term. By building infrastructure that captures high water flow when available, these projects help prevent flooding as well as direct that water into groundwater recharge areas. Many of these projects are now becoming operational. 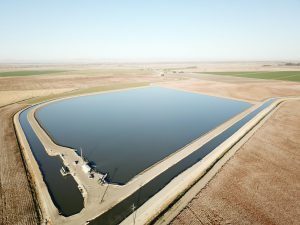 One group of water districts known as the San Joaquin River Exchange Contractors Water Authority are currently expanding a pilot project. 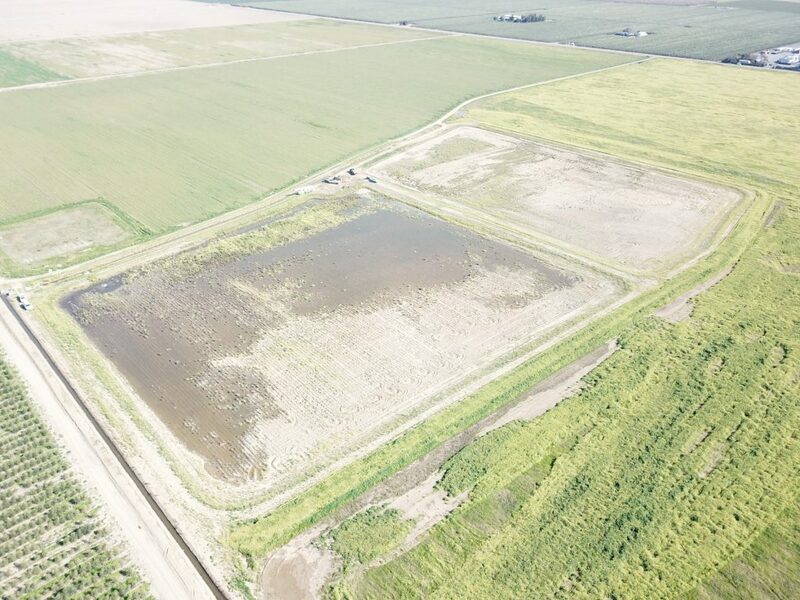 With funding assistance from U.S. Bureau of Reclamation, the Exchange Contractors, in partnership with the neighboring Del Puerto Water District, built a 20-acre recharge and recovery pilot project in the Orestimba Creek area. Due to its success, the Authority expanded the project to an 80-acre site with funding assistance from the Office of Emergency Services (OES) and the Federal Emergency Management Agency (FEMA). The expanded project, operational this year, will capture flood flows from both the San Joaquin and Kings Rivers as well as Orestimba Creek. It will provide a long-term solution to area flooding, as well as provide storage for that water. An even larger project on Los Banos Creek, a cooperative effort among various water districts, is almost fully operational. It creates nearly 200 acres of additional recharge and storage ponds, 7 recovery wells and harnesses previously evaporating water. In another approach, the San Luis Canal Company has invested millions in new technology and upgraded infrastructure. SLCC’s new water-regulating reservoirs and other infrastructure improvements allow for on-demand water deliveries. This makes it possible for individual farmers to install water conservation systems such as drip irrigation. The conserved water that results from these efforts helps take the pressure off our groundwater supplies. Similar projects are underway in other water districts as well. Together, these and other projects provide multiple benefits. They not only conserve and store water, they take the pressure off the need to pump groundwater, help diminish subsidence, contribute to groundwater recharge, prevent flooding and provide a more consistent water supply to critical wildlife habitat as well as farms and people. And in the end, we will need it all – wet winters as well as small and large projects, capable of capturing and storing the water that comes to us.